Pete North Politics Blog: Let's be honest. It's time to bin the NHS. A bit of a diversion on this post because I swear my brain will capsize if I have to write another post on how politicians know nothing about non tariff barriers. Once again when we need to be having more important debates about other things, namely Brexit, we are sucked into yet another debate about yet another NHS crisis. This has to stop. The cycle must be broken. There is never going to be a time when healthcare isn't acutely political. The problem is that our health debate is a one trick pony. The NHS finds itself in crisis, the politicians buy votes by throwing more money at it. No conservative government dare break this cycle and so it goes on. We firehose yet more money at it and still we find that more is never enough. What is missing is any kind of political maturity, both from politicians and the public. In any public debate our leaders are expected to mouth the usual platitudes, praising the hard work of our doctors and nurses. Tiresome. The implied assumption being that you necessarily have to work for a state behemoth to be good at your job. None dare address the self-serving hypocrisy of it all publicly. But let's get down to brass tacks. This system is never going to be fixed by politicians. It's only ever going to to stay in this wearisome cycle until it collapses under its own weight. As much as anything it has to cope with constant tinkering by politicians and for as long as it remains a political football it will always be the play thing of left wing populists. There is no getting around it. It must be privatised. This is when we get shrieks of horror from the self-interested, immediately drawing parallels with the USA as though that were the only alternative model. For some out of ignorance, but mainly out of political and intellectual dishonesty. Foolishly, reformers get sucked into defending the US model when in fact it's the very last example on earth we should consider. Firstly, in approaching this question we need to recognise that any system must be mindful of the national character which still does want some form of socialised risk in healthcare. That much is entirely reasonable. But what we do know is that wherever you look in public services you find that they fail when the state is the financier, inspectorate and provider. A corrupt triangle that can never admit fault. Private hospitals are very good at routine. Routine is predictable and the costs are therefore easier to forecast. It's in their commercial interests to see as many patients as possible and to keep costs down and especially not kill patients. You don't stay in business if you do. They have smaller hospitals, each with private rooms which massively reduces risk of infection. In fact getting you back home to recover as soon as possible, where your immune system is used to the bugs in your own home, you have a better chance of survival. In many cases, the private sector performs so well, it's actually cheaper for the NHS to pay for patients with routine illnesses to go private. The problem with it is that some ailments are not routine and private healthcare does not like surprises. If it can kick the complicated stuff back onto the NHS it will and will even pay patients cash bribes of £2000 to do so. In short, the private health sector could not exist in its current form without the NHS. You can get private policies that cover most instances for less than £50 a month but that's all underpinned by the state system. I take the view that the less routine ailments make ideal cases for training hospitals which are said to be the best care you can get anywhere. I see these as being self-financing by turning all major city hospitals into university hospitals so that we become the number one global producer of doctors and nurses. If we actually enforce student visas properly we could be the health engine of the world. Why not make it a global export? The logical conclusion of this is that the NHS needs to become little more than a healthcare procurement and licensing operation running essentially a quasi-nationalised insurance scheme to ensure universality. That could come in much cheaper and more effective than a fully state owned NHS. But then as Simon Cooke points out, the problem with the NHS first and foremost is the money. This is why I favour personal health budgets - which is not a new thing at all. At the moment care is funded from central government with no real consumer choice and very little accountability. What we need is for people to take ownership of their own care funding. This is where we could utilise the "friendly society" model that existed before the NHS. It uses a deposit account system where half of monthly payments are put into an investment account while the other half is held as a deposit to be drawn on or even repaid if the policy was cancelled. It is a myth that the poorest had no access to healthcare before the NHS. Trusts and societies used to function quite well. Obviously the model would need to be modernised but the foundation is there and this would take the ponzi scheme dynamic away from funding. We could make it a compulsory system whereby people paid in directly from their wages, but also paid a fraction into National Insurance that would be there to continue payments in times of sickness or unemployment. We could also look at means tested match funding. What this means is that we can establish the system, and then gradually phase out the state. 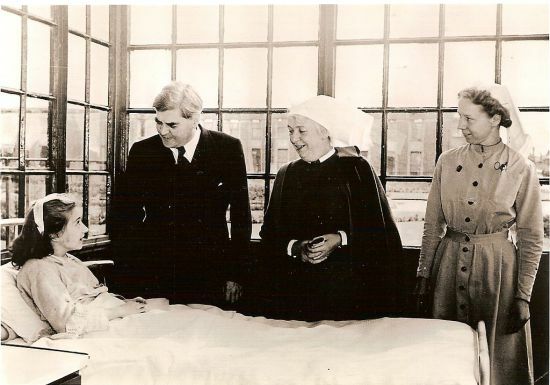 Ultimately the British healthcare system is the last remnant of post-war socialism and it is proving impossible to remove - and it taints everything. As much as anything it has eroded personal responsibility and created an entitlement culture where everybody feels entitled to Rolls Royce care regardless of their contribution - regardless of the political and economic realities. Privatisation is as much a moral issue as it is a financial one. We need to get over our collective allergy to private health, but hard-right libertarians also need to acknowledge that the fully private system is no more efficient than a state system and a sick population has externalities that business ends up paying for one way or another. There needs to be some form of universality. Since we are culturally dependent on this system we are morally obliged to phase it out rather than a sudden death privatisation that leaves people having to liquidate their assets or go without. Some argue that any system that introduces means testing would result in bargain basement care for the less well off, but in truth we already have that. You can get first rate service with the NHS but it is a postcode lottery. Those with the best education and the sharpest elbows will always get the best treatment. The vulnerable who can't assert themselves within the system will always get the sort end of the stick. Universality in name only. That dynamic changes when they are paying customers, paying from their own health budget. There is then also the matter of the NHS structure. The reason A&E is so badly clogged is thanks a broken GP system where people struggle to get the help they need. That is where we need a government to do to GP's what Thatcher did to the miners. Again, with people in charge of their own health budgets and having the freedom to choose, there is then a genuine marketplace for different kinds of care where the specialisms can be broken down into more effective clinics. GP surgeries are far too generalised and very often useless. Taking this approach would mean the system is then geared with realistic wages according to the specialism where we can just as easily entrust treatments to excellent nurse practitioners rather than GPs. This model is quite effective in mental health. The short of it is that unless we can have an honest debate and break it away from the socialist point scoring, we will continue on in this political stalemate, pretending the NHS is fit for purpose while Tories quietly outsource it by stealth - leading to the very oligarchy the left most fears. It doesn't have to be this way - we just need a bold and creative new vision and a roadmap on how to get there. Like Brexit, it cannot be achieved in a single bound and it will have to be done so the system can acclimatise to the new model. Radical toryism is just as destructive as this awful socialist model. Like it or not, we cannot wind the clock back to 1945. Globalisation has trashed all the old models and our porous borders makes a general funding model impractical and prone to fraud. The confidence trick played on the electorate that we can wave a magic wand, borrow billions and "invest" in this failing system is grotesque. Unless we are willing to grasp the nettle, our "envy of the world" health system will become a global laughing stock. Those of us who need to use it, though, will not be laughing at all.